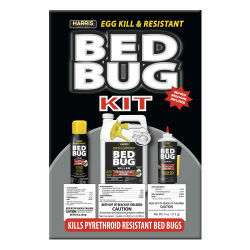 Designed to kill the toughest pyrethroid resistant bed bugs. Harris Egg Kill & Resistant Bed Bug Spray – 16 oz. Harris Bed Bug Silica Gel Powder – 4 oz.